Fight the stress of your daily life and balance your physical and mental energy through an ancient Oriental art that is now available in the only traditional Thai massage center in Bologna. 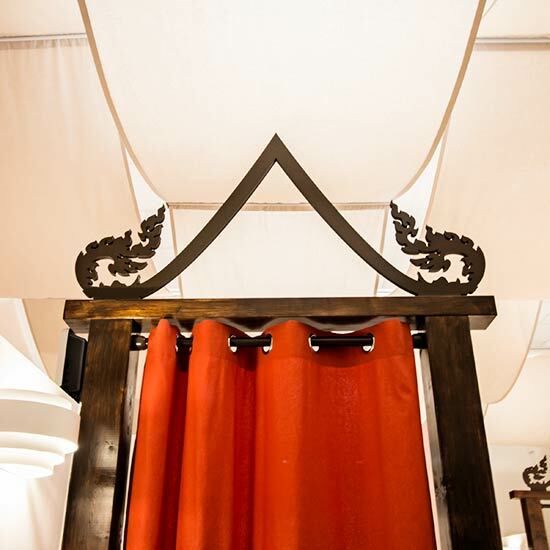 A massage Center where tradition, qualified therapists and a magic atmosphere all merge together to provide you with the unique and original Thai massage. Thai massage is a wellness voyage that can help you balance your mind and body energy. Passed down from masters to apprentices through countless generations in over 2,500 years, it combines acupressure and palm pressure with assisted stretching techniques inspired by Yoga practices: it opens your body, both physiologically and energetically. Thai massage is not a medical treatment, it is rather a bio-natural discipline that can grant you several benefits: it increases vascular activity, makes you expel toxins, activates and generates energy, abates musculoskeletal pain, relieves your mood and gets you into a state of internal peacefulness. A captivating experience that will make you feel as if you have just been teleported in the Land of Smiles, so that later you can come back to your everyday life fully energized and stress-free, just as if you had just come back from a Thailand vacation. By choosing My Thai, you get all the benefits of a traditional massage, oil massage or foot massage, and you also get to live a unique experience, whether alone or with a partner. My Thai is a true Thai massage center, one of the few where this ancient art gets to be practiced in accordance to its millenary tradition. Meet Thailand in Bologna: you will be warmly greeted, you will feel at home and you will experience the best massaging experience, ever. Our masseuses have all been trained in the very best Thai massage school, with the knowledge that has been passed down from Bangkok’s Wat Pho temple. Besides traditional massages, we also offer customized treatments to meet your needs, especially when someone is affected by aching or contractures in specific areas of their body. All of our treatments should be chosen accordingly to your time schedule and the type of massage you prefer. Traditional Thai massage practiced without lubricants as recommended by the old teachings. Effective and strong, you can feel its benefits right at the end of the treatment. The evolution of the traditional techniques, with soft and delicate pressures and movements thanks to the use of hypoallergenic oils. Relaxing but equally effective, perfect for contractures. Also known as reflexology or zone therapy, this technique can affect any organ by stimulating nerve fiber endings in specific zones of your feet. Traditional (or with oil, according to your specific needs) massage that affects the upper section of the body; especially useful to abate back and cervical contractures or aches. Your Thai massage of choice with two masseuses working in perfect sync, to truly experience a unique massage. It must be booked in advance. 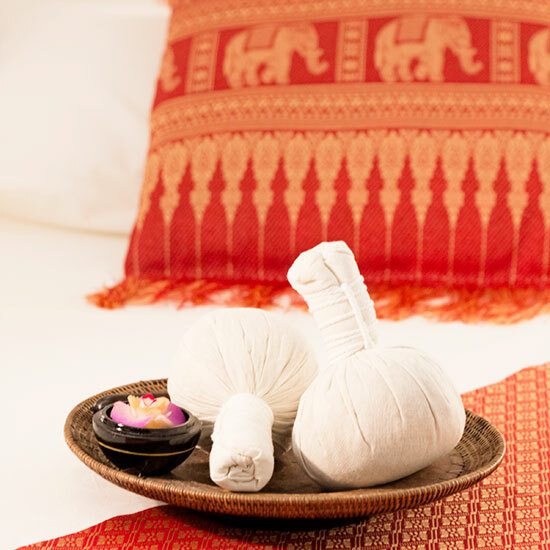 Your Thai massage of choice in a room with two beds, to share the special moments of Thai massage with someone else. It must be booked in advance. Price listed is for two people. If you love My Thai, remember that you can choose among special packages and favorable offers, carefully selected for our most loyal customers. By purchasing a 5-massage package you will actually be paying for just 4 of those. Perfect for anyone who’s fallen for us! No expiration date. A 30 minutes foot massage + 1h of your massage of choice at a very special price. Request your loyalty card and the 10th massage you book at My Thai is on us! No expiration date. 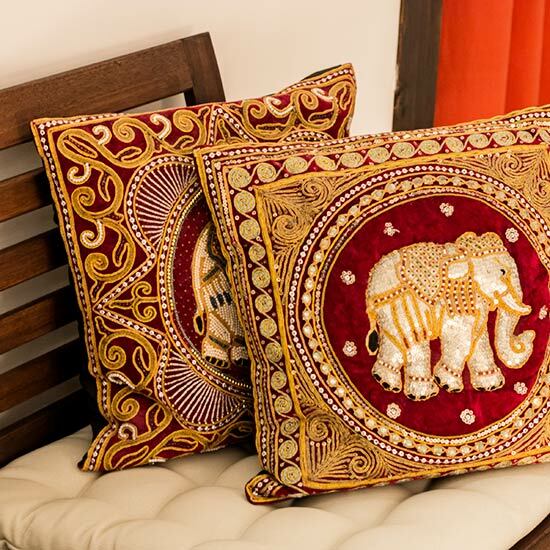 You can buy a pleasant moment of balance and relaxation for someone you love. Ask for a gift card, valid for one of our treatments. Useful information on My Thai to enjoy each and every moment of our treatments the best way. My Thai opens daily, from 10 am to 8 pm. The last massages of the day begin at 7,30 pm. If you have a reservation, please try to arrive at least 10 minutes before the time agreed. This way, we will have all the time to greet you and properly prepare you for your unique experience. If, for any kind of reason, you have to cancel your appointment, please let us know immediately. It would be best to give us a word at least one day prior to the appointment – if possible – so that we can re-schedule our therapists’ work day. There is no need to carry any particular piece of clothing with you. You will be provided with disposable undergarments and clean towels, to let you keep a stable temperature during the whole experience. If you need to take a warm shower before or after the massage, you will be provided with anything you need: single-use slippers and cap, hypoallergenic soap and a clean bathrobe. When you book or request a treatment, you will be asked if there are any pre-existing medical conditions that could be affected by the treatment. Your physician’s opinion is fundamental, so always consult with them about the treatment you want to request: we won’t take any responsibility or go against their advice if they say such treatment may be harmful to you. Keep in mind that it is in your best interest to be honest about this. Thai massage can greatly benefit pregnant women. Keep in mind, though, that we will ask you how far along in the pregnancy you are and any other useful information about your pregnancy, to safely choose the best treatment for you. Teenagers can definitely get a Thai massage, but they will be required to be escorted by a parent or another responsible adult. Thai massage is perfect for athletes of any kind and level, especially when they want to get better performances and quickly get their energy back after their efforts. Our center: a piece of Thailand in Bologna. Come and visit to live moments of pure, stress-free relaxation. Call us to book your treatment or write us to ask for any kind of information you may need.